I had done a review of the Chicnova Website before and I told you that I ended up paying customs more than the value of the item. 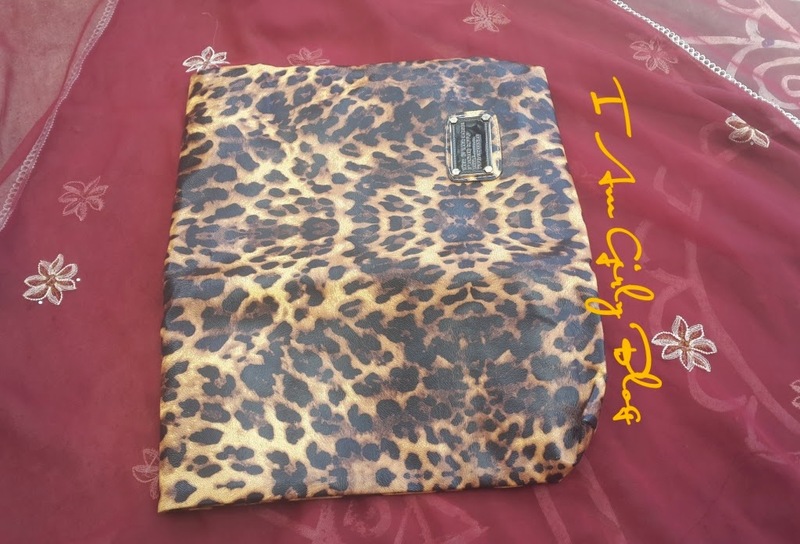 So Chicnova kindly offered me a few points to shop again on their website and I ordered a chic leopard print tote bag this time. I adore leopard print and I love that pattern so much so much. I love only the patterns not the real leopards. 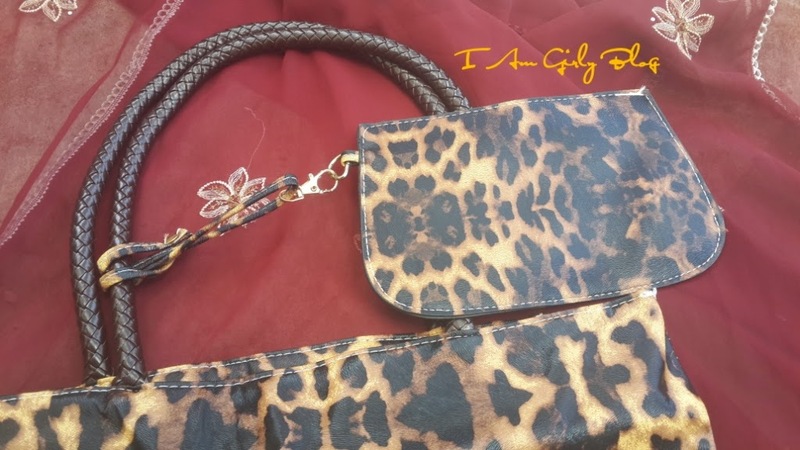 Dont you agree with me that leopard prints are stylish and fun.Leopard print is a timeless, chic fashion staple that’s remained in style over the past century. Leopard is one of the boldest animal prints.Add some edge to your work-wear this season with this striking Leopard Print Bag. 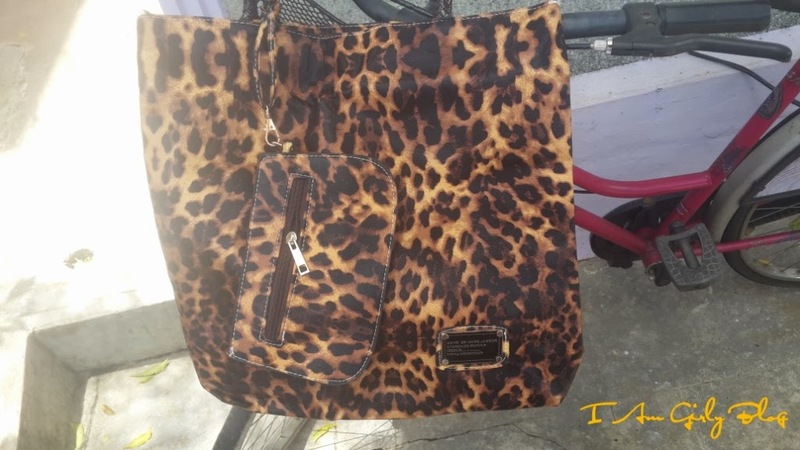 The combination of bright golden brown and black rosettes of this bag gives any ensemble a perfect look.This leopard print bag is a must have standout style. The bag is originally priced at US$23.00 and now it is priced at US$11.50 as some promotion is going on. The quality of the bag is amazing and it is very affordable at this price tag. Order one soon before it gets sold out. The bag is made of PU leather and it had a strong smell when I opened the package and subsequently it faded away. It comes with a branded metal tag. It has an additional small zipper utility pouch attached to it. I use it to keep a few coins and it comes handy during travelling so that I dont end up searching for the coins for my bus ticket. The bag has one large compartment and one small compartment inside the main compartment. Apart from the extra pouch, there is another small compartment outside which makes it a total of 4. The bag is a tote bag and falls under work-wear category. 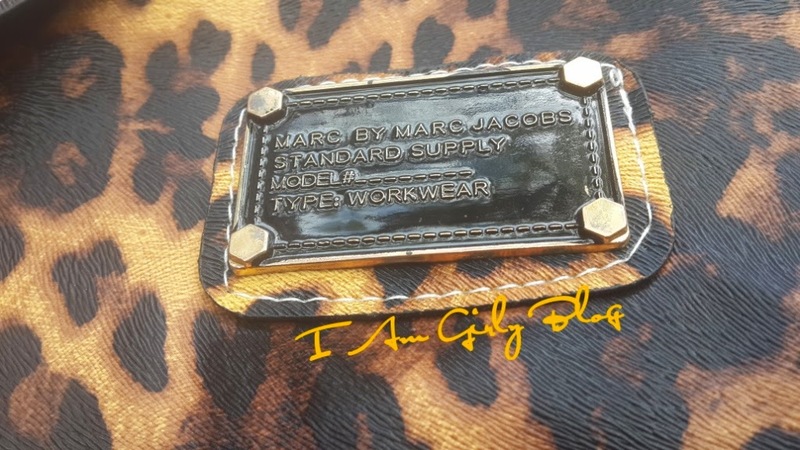 It says Marc by Marc Jacobs as the brand. The bag functions with the help of zip top closure. The lining material is soft and waterproof. I feel the lining is durable. The bag is perfectly stitched too. The bag is very spacious. I love the inter woven style of the shoulder drop/handle. The shoulder drop is lengthy enough. Overall, this bag is elegant. I love it so much. More images for you ! Thanks for reading. Do you love animal prints? Reacheer Velvet Loose powder Natural Color/ Matte Review !